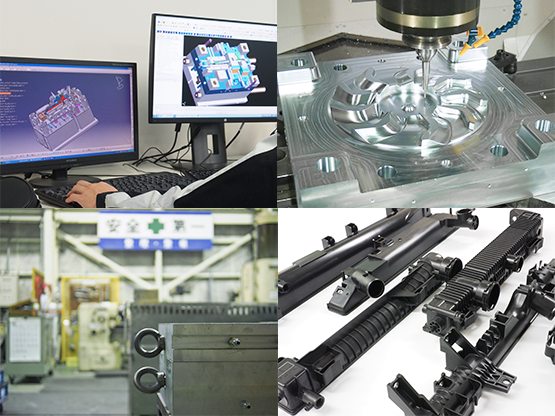 Alphatec’s experience as a functional parts professional ensures its ability to control the requirements of the customer, and thus modify molds efficiently and with short delivery times. Deformation after forming is predicted using flow analysis, experience, and accumulated know-how. Incorporating these techniques and knowledge into molds minimizes the number of mold modification cycles, and ensures high quality and short delivery times. We are proud of our strong record of achievement in shipping approximately 100 prototype molds annually.